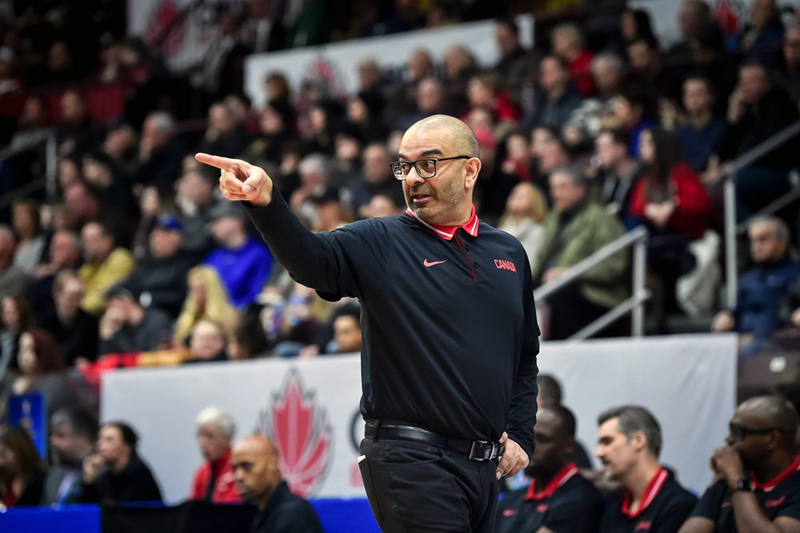 Maldonado, Argentina – (BasketballBuzz) – Canada’s Cadet Men’s National Team (CMNT) fought hard but couldn’t contain a much physical and stronger Argentina team and dropped a heartbreaking 65-64 overtime semi-final decision at the 2013 FIBA Americas U16 Championships. Jamal Murray did all he could to try and put the Canadians in the Gold medal game with a game-high 27 points (11 in the third-quarter) and six rebounds. No other Canadian reached double-figures as Eddie Okiyor (Ottawa, ON) nearly missed a double-double before fouling out in overtime with 9 points,eight rebounds and three blocks. Justin Jackson was the top rebounder for the Canadians with 10 to go along with 6 points. The always tough Argentinians jumped all-over the Canadians by opening the game on 9-0 run and led 18-10 after one-quarter and 35-23 by half-time. The Canadians turn it up a notch in the second-half by outscoring their South American counter-parts 15-10 in the 3rd quarter and 18-11 in the final quarter to force overtime. Argentina scored the first five points of the extra session and held on to the one point victory as Nolan Narian’s desperation baseline three-pointer came up short at the buzzer, ending Canada’s hopes of reach the Gold Medal game. Christian Boudet’s double-double of 15 points and 10 rebounds paced Argentina who also got 13 points from Lucio Delfino. Canada shot a miserable 12-22, 55% from the free-throw line, while Argentina was even worse shooting 10-24 for 42%. The battle on the glass went to Team Argentina 46-39. Argentina (4-1) will now advance to face the USA (5-0) in the Gold Medal game. While Canada (3-1) will play Puerto Rico (3-2)in the 3rd place game. The Canadians opened up the tournament with being defeating the Republicans 76-63 in a hard fought game. A bronze medal would be considered a great achievement by these young men, however Canada has to be disappointment by lost specially, since most expected a USA/Canada Final. The results at the U16 level are usually a good barometer of the where a countries development lies. For Argentina, its still clear that the golden generation of Manu Ginobli, Luis Scola etc may have left but its also evident that the this new generation has bright future ahead of them. Canada also qualified for the 2014 FIBA U17 World Championships by finishing in the Top four of the Annual Americas competition.